WELCOME TO OLD STYLE SPANISH QUALITY! 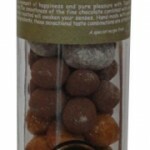 We hope you enjoy eating our hand-made nuts as much as we enjoy making them. 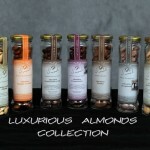 All ofour almonds specialities provide quality and are healthy snacks. 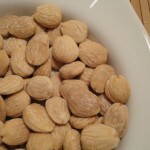 A Tusal roasted almond may begin like any other Spanish almond, but our almonds certainly do not taste like any other almond. They are hand-roasted and hand-packed for your enjoyment – artisanal production and distinguished presentation. 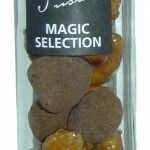 Tusal’s collection of luxury nuts is everything you’d expect from Spain. Now, no larder is properly stocked without Esther Tusal’s collection. 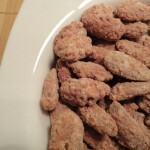 No treat is quite complete without her delicious almonds. We roast in small batches by hand. Yes, it’s more costly, but we have the satisfaction of knowing most people wish to have the best quality today, just as kings and queens did hundreds of years ago. Quality ingredients must be used to assure the finest product. We use fresh almonds and pure olive oil. We use a minimum amount of sugar to achieve the best flavour, yet keep health-conscious consumers in mind. Or just enjoy them yourself!